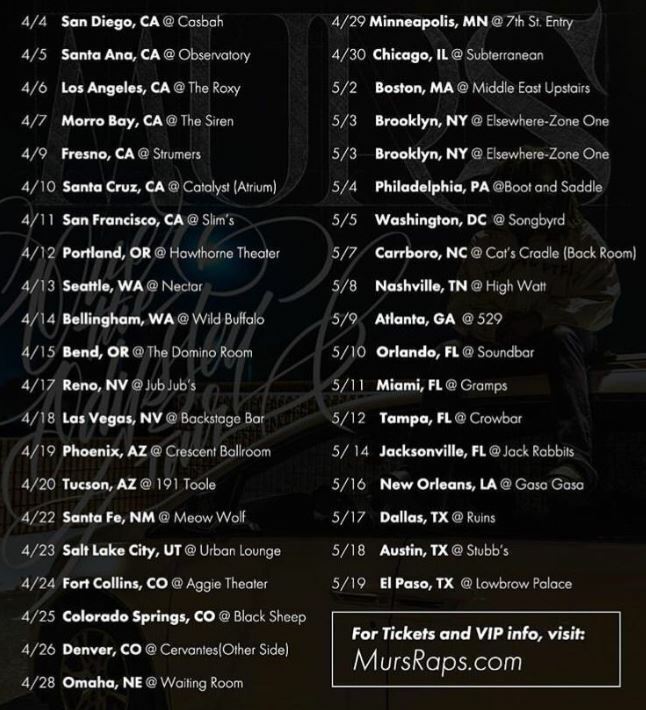 Murs and Locksmith Book Nationwide Tour Starting in April! Late yesterday, it was announced that Murs will embark on a 6 week tour starting on April 4th! Along with a headlining Murs set, you’ll also get a full performance from Locksmith! The tour runs all the way through May 19th in El Paso, TX. I haven’t seen them available for all dates just yet, but keep your eyes posted to MursRaps.com for tickets and VIP packages!